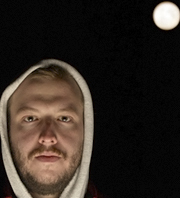 Bon Iver: "Bon hiver" is French for good winter. First time I ever heard bon hiver used in practice, I was watching a television show. I was very sick. I was in bed for three months and I sort of dove into this television show, "Northern Exposure." And there's this episode where the people in this tiny town in Alaska come out and they hug each other and say "bon hiver." And they kind of greet the winter like that. For me growing up here in the Midwest, it was a sacred thing. A lot of people run away from it or shy away from winter. It seemed very fitting to name the project after the winter that created the music. I left North Carolina with a lot on my mind. I sort of broke up with my band. I broke up with my girlfriend. I went straight back to Wisconsin because I didn't have anywhere else to be. I knew I couldn't be in North Carolina anymore. I went straight to my dad's hunting lodge because it was the only place that I felt that I could be alone. I arrived at the cabin in November, so there's a very big winter theme for everything when I was there. On a physical level, I would wake up to stoke the fire or get wood chopped to get it in the house to keep warm. Just winter in general was kind of a part of where I was physically and metaphysically as well. It bled into the music naturally. I was about 25 miles from anything -- even a gas station -- and even miles from another home. The only thing you'd really hear is a slight howl from the highway 20 miles away and then maybe birds, but really it was so quiet. I had nothing but the sound of my own thoughts, and they were really loud when that's all that was going on. One of the songs I wrote when I was at the cabin was "For Emma." There's a lyric in there where that says, "I saw death on a sunny snow." And it was very typical for a day up there in February. I remember there was a day before I left that it was minus 20F, but the sun was shining and it was sort of a brilliant contrast. Whenever I sing this song, or perform this song that's where I am. When I'm singing, "Running home, running home," it's sort of this repetitive thing that happens in the song. It's not as much about home, because I didn't know what home was at that point. That wasn't as established for me. My parents had a home. And I grew up at a home. But I had no ... I was just running. These stories and this song all happen during the winter, because about February every year is when it gets really hard. And I think the starkness and the grayness and the lack of sun, and when the dirt and the salt sort of build up at the side of the roads, I think it's about time for the ground to start thawing and I think it's when people's hearts really start to give out. I think that's when you remember it the most. Hi Justin. I love your album... I am from southern Spain and althought it�s not as cold as there in Wisconsin your music brings me warm for bad times... Hope to see live in concert anytime! Hey, Justin. A few of your tracks are the feature on 'Acoustic Breakfast' on WDST radio. Really nice work, Man; beautiful songs. Having also spent a great deal of time on my own, I know (and appreciate!) what can be realized from glorious solitude. What a wonderful story! Thank you so much for the story on Bon Iver. I love the way the music is so perfectly woven into the narrative. Thank you - I will definitely be playing the record on my radio show!